Card Text Play: For the remainder of the turn, any you would gain from reaping is stolen from your opponent instead. What if after playing Dimension Door, I reap and my opponent has no Æmber left? 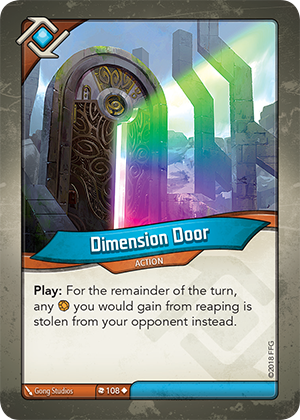 During the turn that Dimension Door is active, all Æmber gained from reaping must be stolen and cannot be gained from the common pool. Therefore, if your opponent doesn’t have any Æmber to steal, you wouldn’t gain any Æmber from reaping.